Sunday’s atmosphere at Tucson Arena wasn’t quite the same as the Sugar Skulls’ home opener three weeks ago. 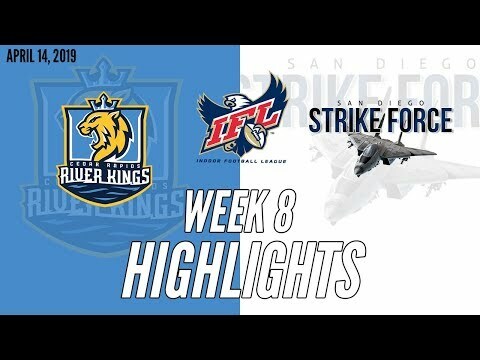 Although Tucson (3-1) took down the San Diego Strike Force (0-5) 51-31 in front of a crowd of 4,004 at “The Boneyard,” coach Marcus Coleman isn’t satisfied with the overall state of Tucson’s Indoor Football League team. “I am happy with the win, but I’m not necessarily happy where everything is right now,” he said. One reason: Tucson committed 10 penalties for 94 yards, including three personal fouls. On the other hand, San Diego had seven penalties for 89 yards. 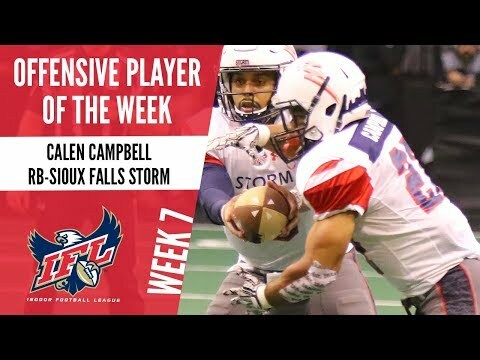 The most notable one happened with just under eight minutes left in the game when the Sugar Skulls led 45-31 and the Strike Force were looking to cut the game to one possession. Tucson defensive lineman Keith Jones Jr. was flagged for an unsportsmanlike conduct call after a late hit on San Diego quarterback Derrick Bernard, who completed a 27-yard pass down to the Tucson 16-yard line on the play. Flags were thrown, tempers were flared and the tone of the game elevated to aggressive between both teams. “What I want to say, I can’t say because obviously I’m not trying to get fined by the league, but I felt like the game should’ve been controlled a little bit more and it wasn’t,” Coleman said. “It’s an emotional game so it got out of hand on both sides of the ball, but this is your profession. This is professional sports. ... You’ve got to carry yourself like (a professional) and that’s throughout the entire game regardless of what’s going on. On the following play, Tucson native and Sugar Skulls cornerback Cam Gaddis intercepted Bernard, which gave the Sugar Skulls some breathing room late. Gaddis has two interceptions in as many home games this season. “It feels good to come out here and do this all for the fans. It means a lot,” Gaddis said. 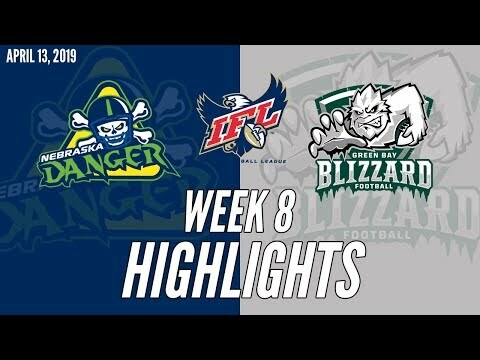 Tucson quarterback Jake Medlock started his first game of the season in place of Matt Behrendt, who won IFL Offensive Player of the Week the previous time Tucson played at home. The two have alternated at quarterback in every game this season except for the win over Bismarck at Tucson Arena on March 10. “Doesn’t matter if I’m starting or doing the two-quarterback system, you got to prepare for the game like you’re the starter no matter what and I’ve done the same stuff for my whole entire career” Medlock said. “It was great. The fans were great. Medlock was last season’s IFL passing leader and threw for 142 yards and four touchdowns in the second half of Tucson’s season-opening win over San Diego. Sunday, he completed 13 of 22 passes for 148 yards and two touchdowns along with two rushing scores. After trailing 14-10 at the end of the first quarter, the Sugar Skulls led 24-14 at halftime behind Medlock’s 67 yards in the second quarter. Medlock established his feet with two rushing touchdowns in the second half and leaned on running back Mike Jones, who tied his single-game, season-high with three touchdowns. Jones had 12 carries for 84 yards and caught three passes for 22 yards. He now has six touchdowns against San Diego this season. San Diego cut Tucson’s lead down to 38-31, but the Sugar Skulls, behind Jones and Medlock in the second half, were able to pull away. Despite the win, the Sugar Skulls looks to clean up the penalties and move on from the slugfest that took place Sunday. “We just got to come together. It’s just the stupid things we do on the field. If some team tries to react and swing at us, we just got to turn our backs and walk away. 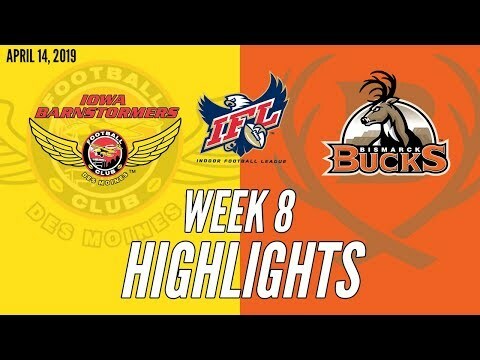 Tucson is one of four teams in the IFL, including the Arizona Rattlers, Iowa Barnstormers and Sioux Falls Storm, to remain undefeated at home. 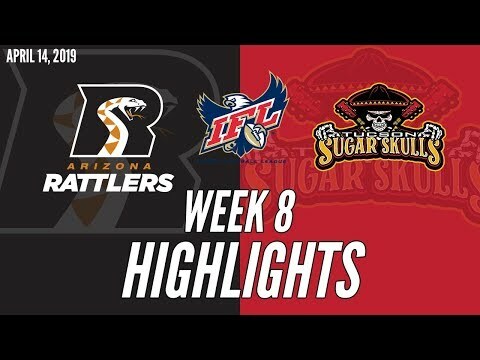 The Sugar Skulls will next face the Nebraska Danger on the road at 5 p.m. Saturday before coming home to play the Arizona Rattlers for the second time this season on Sunday, April 14.